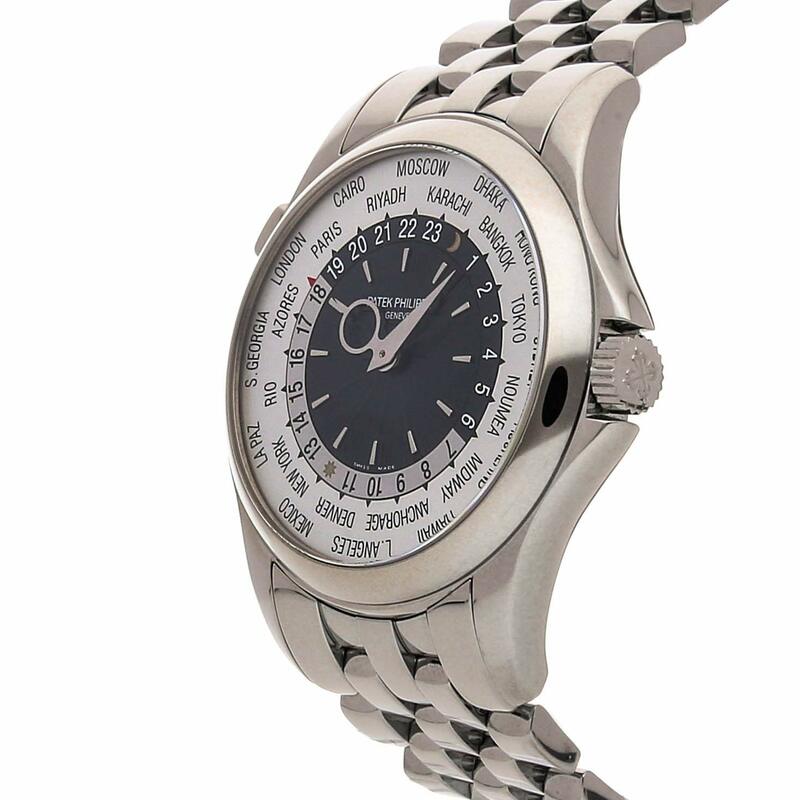 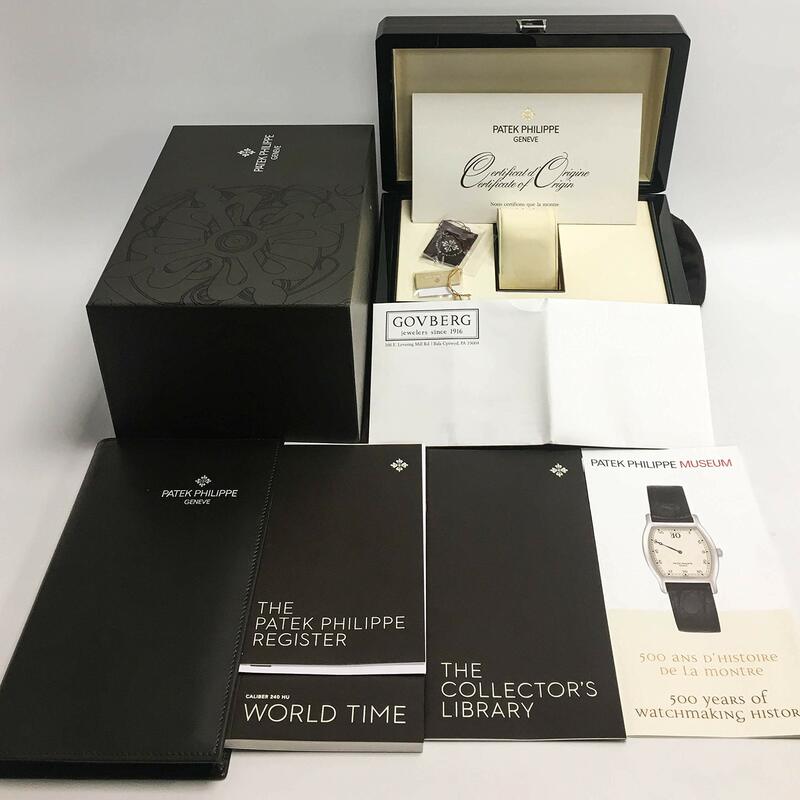 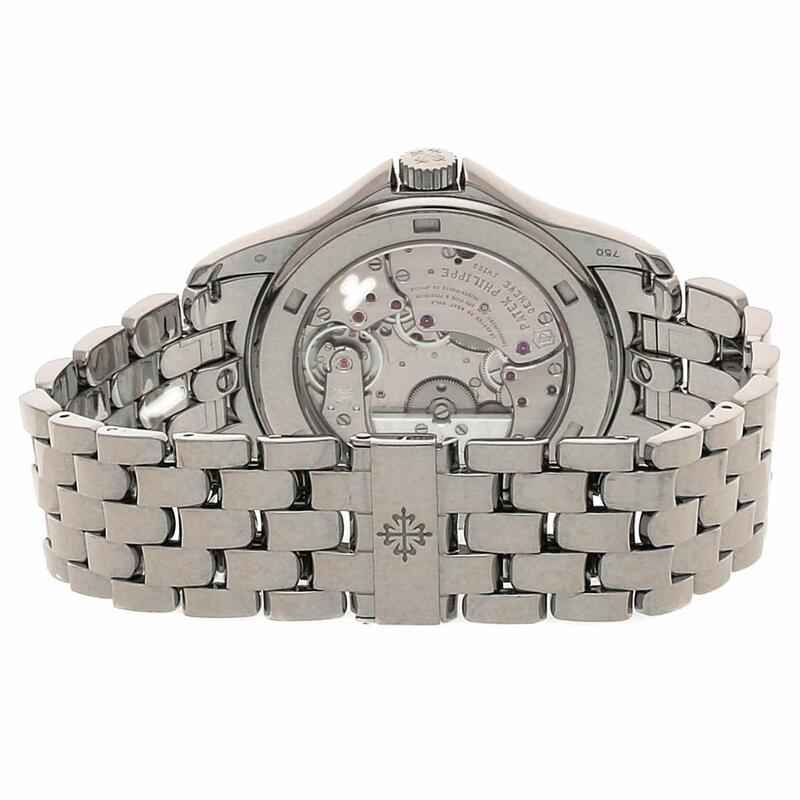 Patek Philippe World Time watch, 18kt white gold case (39.5mm diameter) with clear case back, 18kt white gold bracelet with hidden folding clasp, silvery-white dial with guilloche gray center and white gold hands and applied hour markers, 24 other timezones with day/night indications Caliber 240 HU self-winding movement hallmarked with the Geneva seal, scratch-resistant sapphire crystal, waterproof to 30 meter. 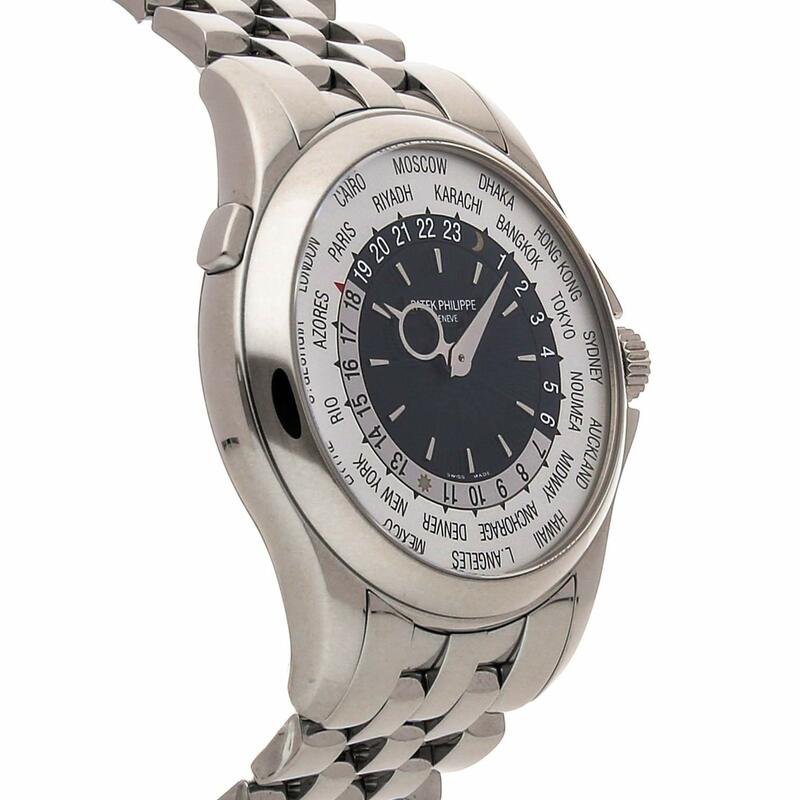 The Patek Philippe World Time presentations the local time Now not simplest at home but in any of the arena’s 24 time zones, with a single glance at its eminently legible face. 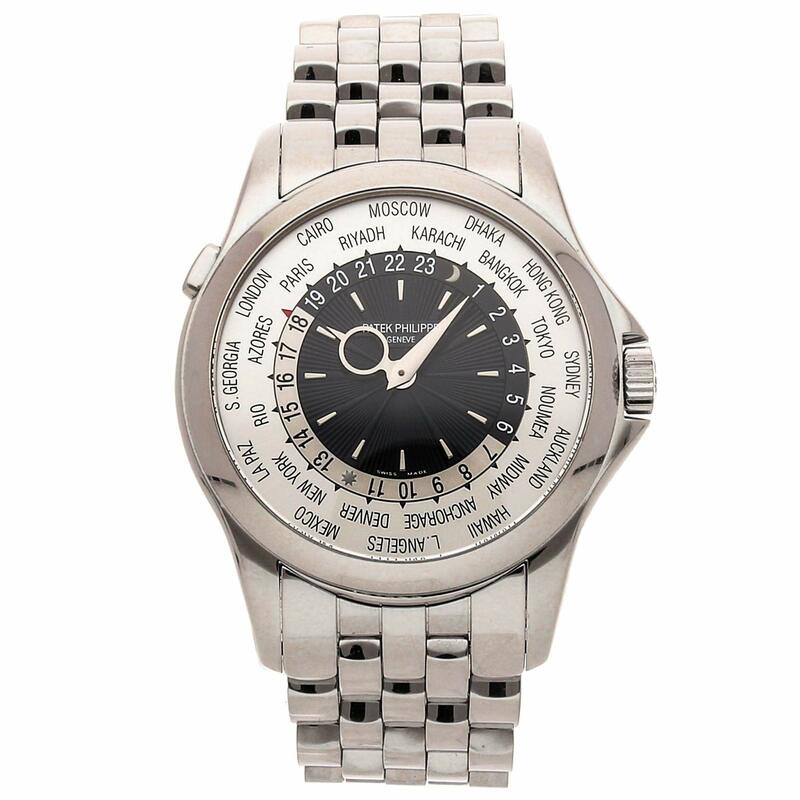 The Patek Philippe World Time also sets new standards in accuracy in more than one time zone watches. 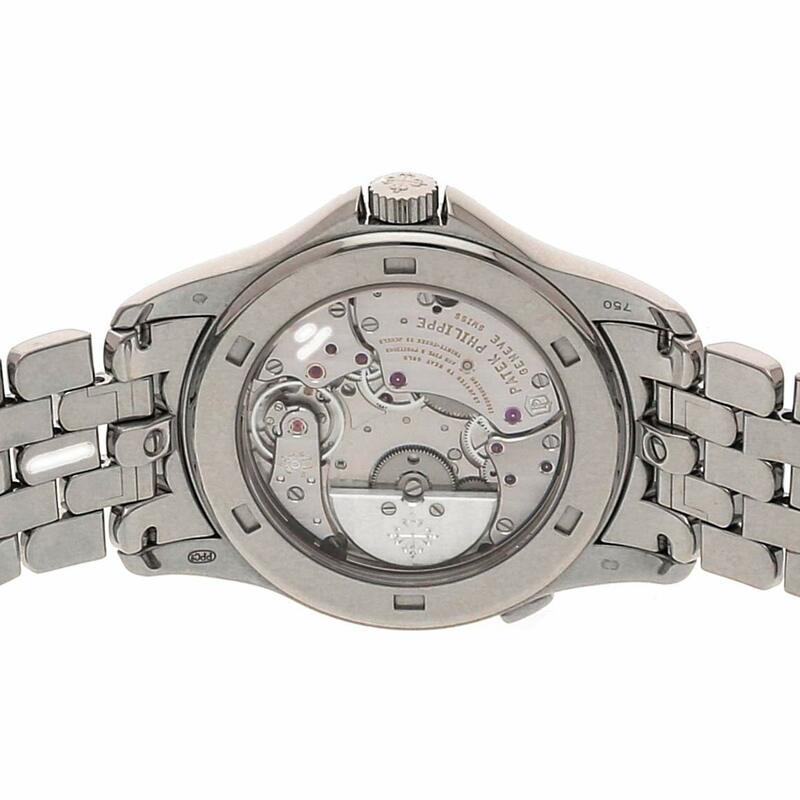 Now not a second’s accuracy is lost when its owner travels in another country and switches the watch to once more zone.